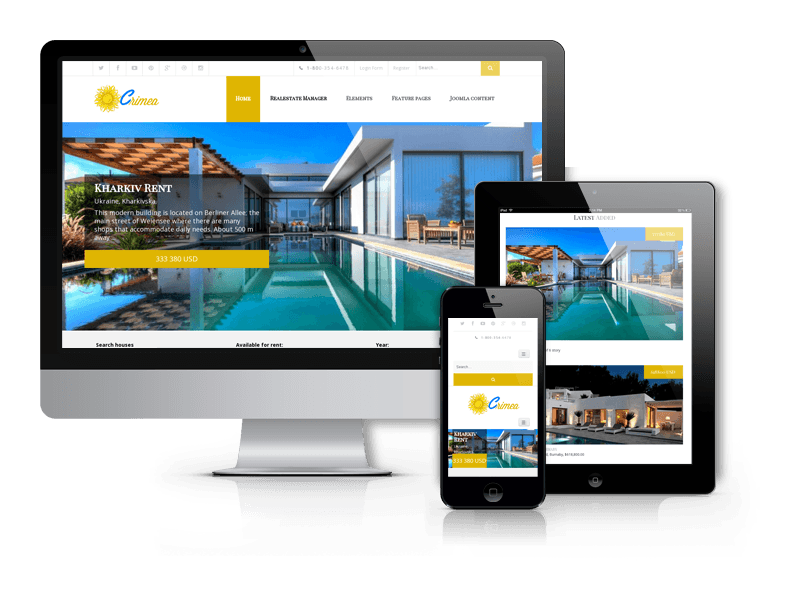 Empire is impressive and powerful Joomla 3.9.x real estate template of premium class with video background and handy homepage search. 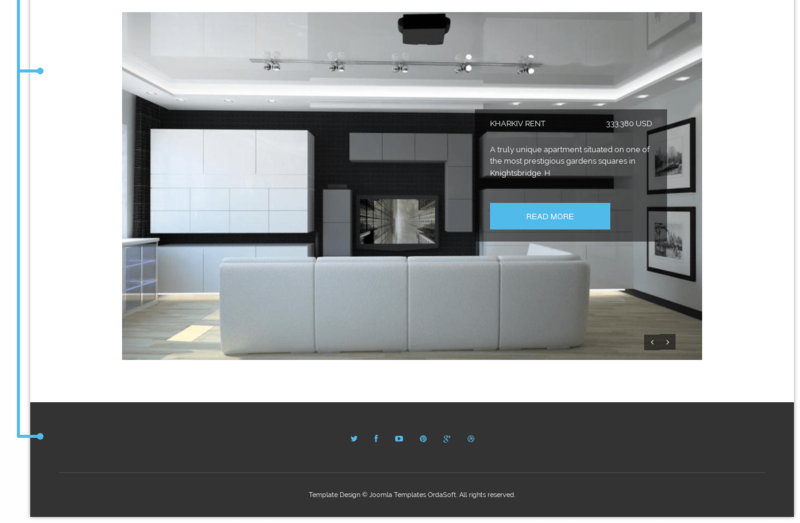 It is perfect for any real estate company, agency or independent real estate dealer, who need to present real estate listings or want to showcase properties and property details. 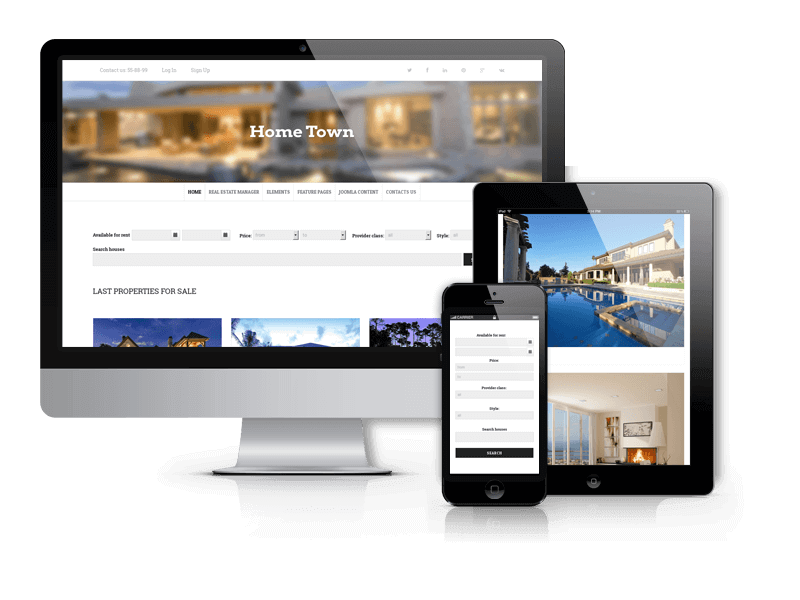 Empire real estate website template has all needed functional of Real Estate Manager to display properties on the map, search properties using lots of criterias and options, view information about estates and communicate with potential buyers. 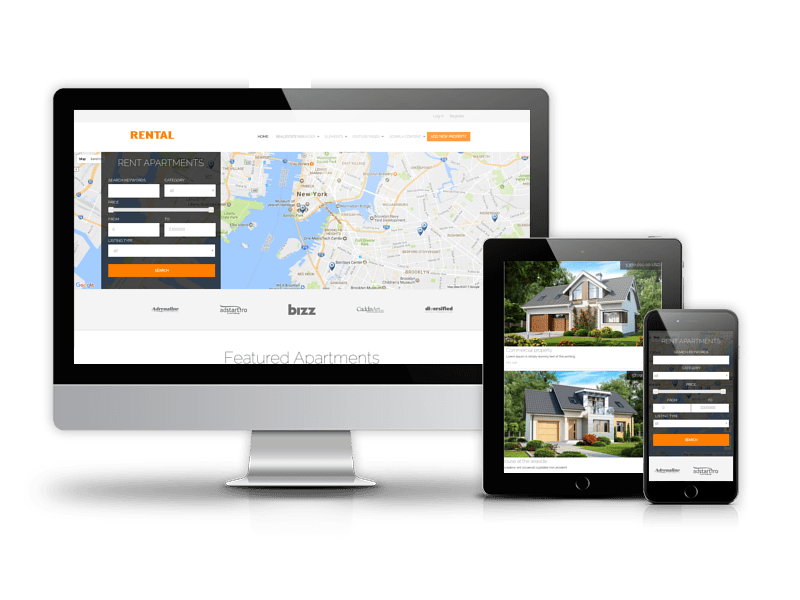 Also with Empire real estate web design and Real Estate Manager web software, administrators and users will get property management panels on frontend and backend, property grid, list and map views, review and rating system, rent and sale request forms and many more features specially created for real estate websites. 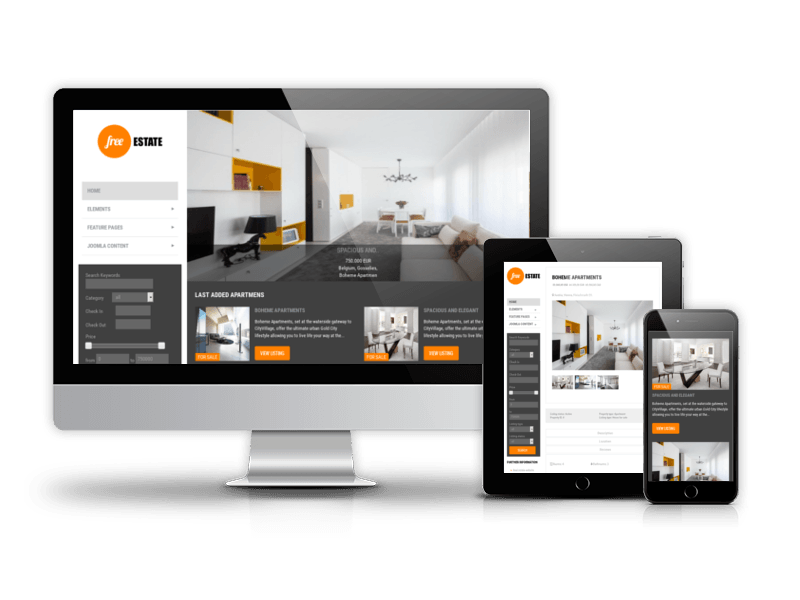 Spectacular homepage of Empire Joomla template gives ability to choose between video or image background. 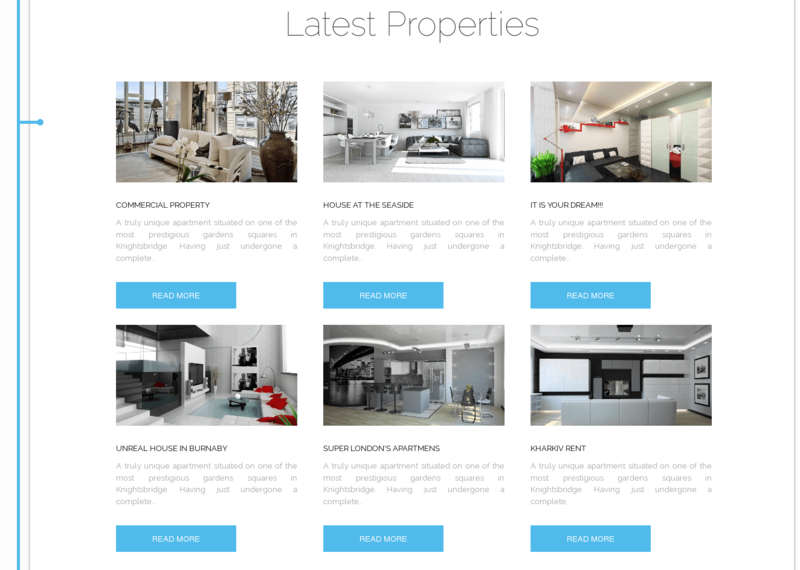 Also on the homepage there are the latest properties and special offers from Feaured module. 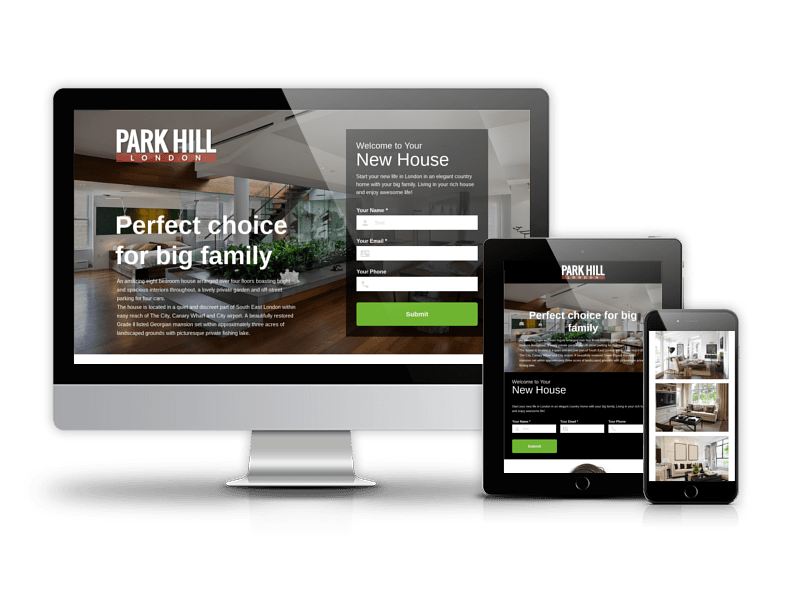 In Quickstart package that allows installing ready real estate website for minutes, slideshow with touch features, Advanced Search and other modules and plugins are included. As usual documentation and support are provided, if you have question or need any kind of our help, post it at our forum. 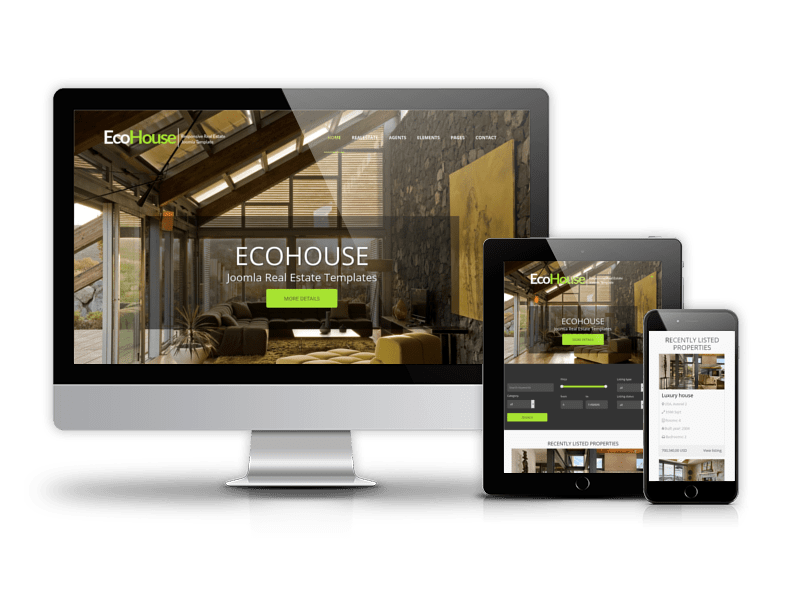 With help of OS Joomla Blank Template, it is possible to customize different aspects of Empire Joomla 3.6 real estate template, like fonts and link style, body color and pattern, links on social accounts in footer and top of the website, copyright and Google Analytics code. 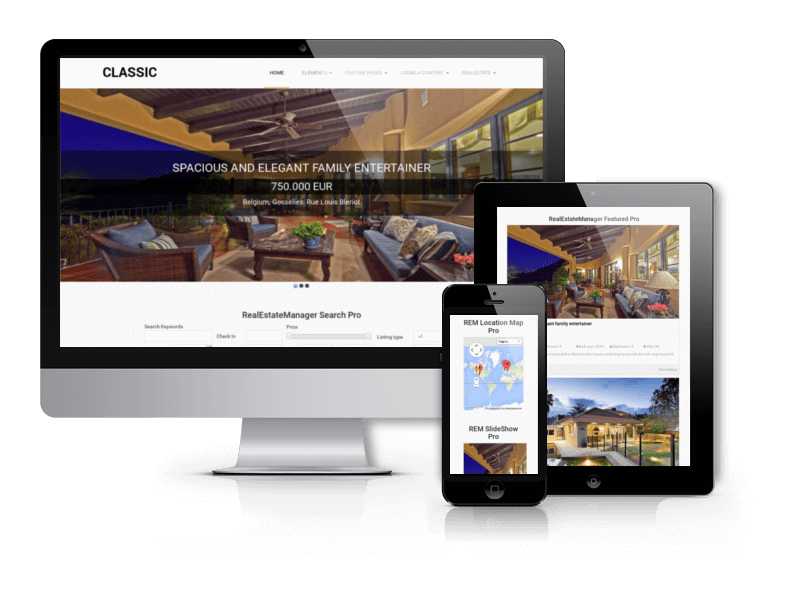 Also Empire is fully responsive and mobile-friendly, all layouts are ready for use on smartphones and tablets. Still not sure? 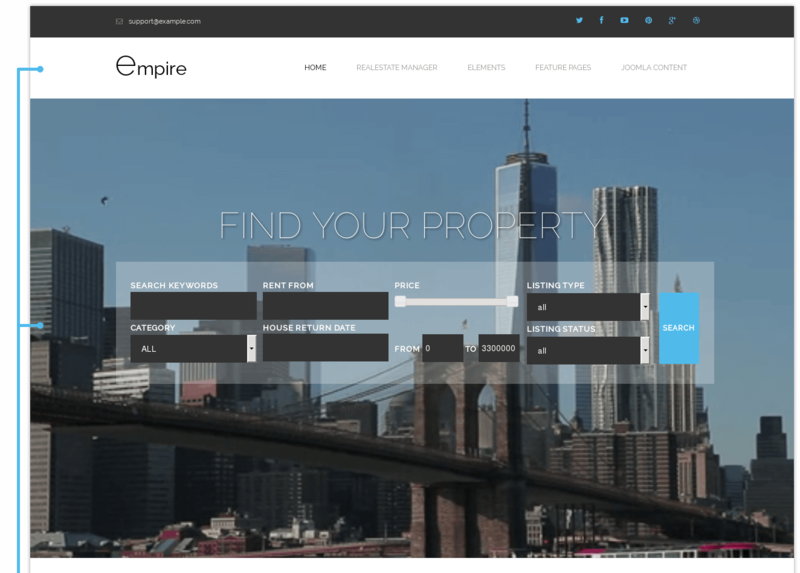 Have a look on demo version and see style and functionality of Empire template with your own eyes. 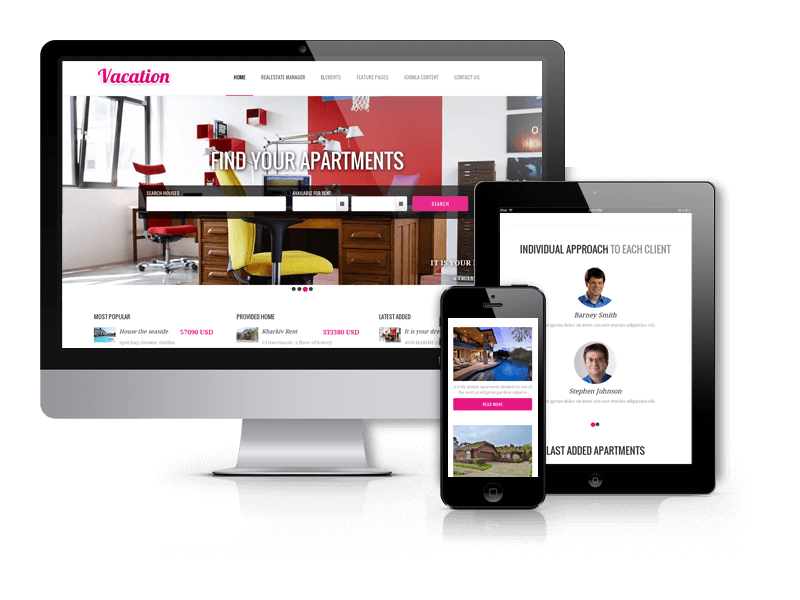 You may also like other Joomla 3.8.x real estate templates from our collection. 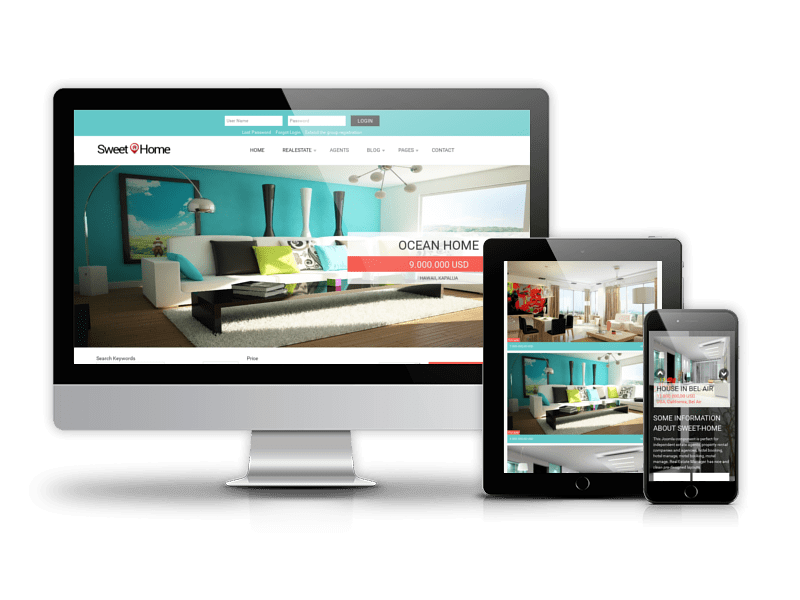 Due to Joomla Blank template, Empire comes with a wealth of module positions to place your content exactly where you want it. 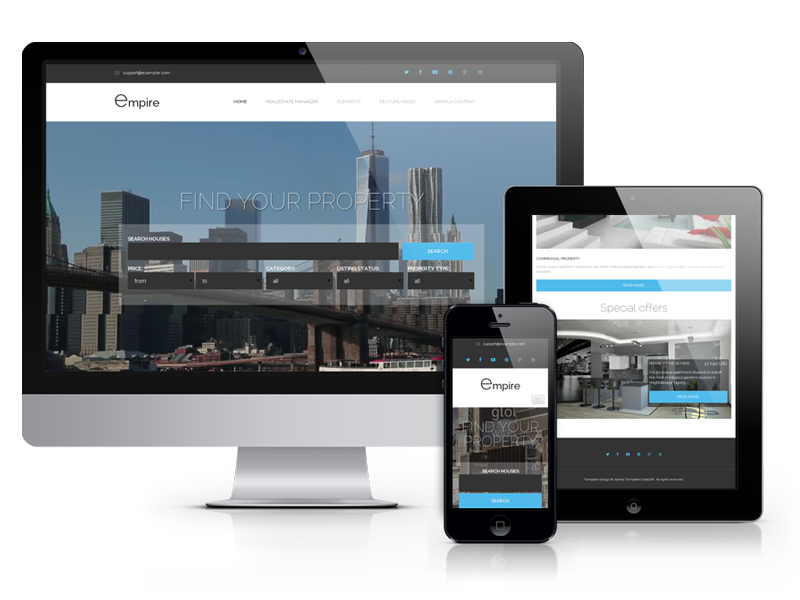 Empire Joomla template fully compatible with all browsers: Chrome, Firefox, Safari, Opera and Internet Explorer 9+.